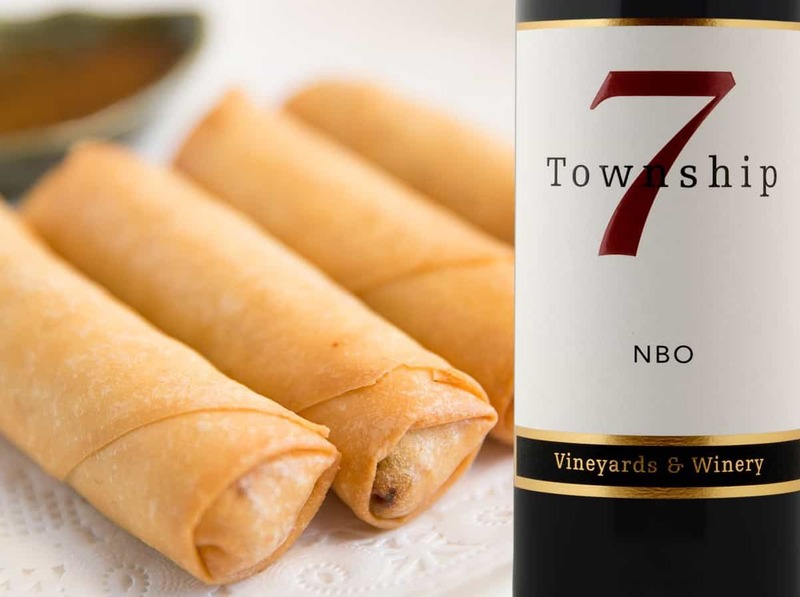 Celebrate this Lunar New Year with a festive essential - spring rolls and one of our delectable wines. Traditionally prepared for the Chinese New Year, the spring roll is viewed as a symbol of wealth and prosperity to come, thanks to their similarity to gold bars. For this 2019 Year of the Pig, we're making a pork version paired with our popular NBO, Bordeaux style blend. The 2016 vintage was recently honoured with 92 points by Beppi Crosariol of the Globe & Mail and by Natalie Maclean, who described the wine as "Wow! This full-bodied BC red wine blend from the North Bench Oliver (NBO) enjoyed a terrific vintage." And awarded 91 points by wine critics John Schreiner and Rick VanSickle. Try a healthy, baked version of this lucky dish and serve it with your favourite dipping sauce. Cheers! Heat a large wok over medium heat. Add the oil. When the oil is hot, cook the pork just until it is no longer pink. Add the cabbage and carrots and salt to taste. Continue to cook until the cabbage wilts and the carrot softens, about 5-6 minutes. Let cool a few minutes. Mix together pork, cabbage, carrots, garlic, onions, oyster sauce, ginger, soy sauce, Chinese Five Spice, and salt and pepper. Let cool a few minutes. Place approximately 1 tbsp of the pork mixture in the center of spring roll wrappers. Roll wrappers around the mixture, folding edges inward to close. Moisten fingers in the cornstarch and water mixture, and brush wrapper seams to seal. Arrange spring rolls in a single layer on a medium baking sheet. Brush with vegetable oil. Bake for 15-17 minutes, flipping each roll over halfway through the cooking time.